With the Indian government skipping BS-V to directly implement the BS-VI emission norms in the country by April 2020, the transition will cause some significant changes in the dynamics of the Indian automotive industry. 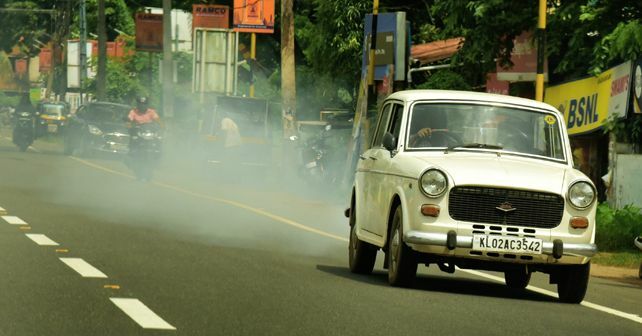 Focussing on the urgent need to upgrade the vehicular emission norms in the country, the Supreme Court recently rejected the Central government and the automobile manufacturers’ proposal for an extension of the April 2020 deadline to implement the BS-VI norms so that the latter can clear off the existing stock of non-BS-VI vehicles. The top court directed that only Bharat Stage VI (BS-VI) vehicles shall be sold across the country from April 1, 2020. To give a brief idea of what the BS-VI emission norms will entail, for customers and manufacturers alike, here are a few differences between the existing BS-IV and forthcoming BS-VI norms. Firstly, permitted levels of sulphur in the fuel will differ for both. While the BS-IV fuels contain 50 parts per million (ppm) sulphur, the BS-VI compliant fuels will have to cap the sulphur content at 10ppm. Also, under the BS-VI norms, Nitrogen Oxide levels generated by diesel combustion will have to be brought down by nearly 70 per cent whereas, for petrol vehicles, they can be reduced by 25 per cent. Another polluting evil which is currently plaguing the nation - particulate matter like PM2.5 and PM10 - will witness a reduction of nearly 80 per cent under the BS-VI setup. While the application of stricter emission norms may sound good and positive, the implementation is where the hurdles lie. To further add to the problem, the strict deadline given by the Supreme Court adds further pressure on the auto manufacturers to work day and night to see this through. Firstly, domestic manufacturers will have to re-develop their existing powertrains in order to make them BS-VI compliant. To put things into perspective, it takes years for brands to come up with a new engine concept, from its inception to testing to the final production-spec version. International vehicle brands currently operating in India will have an easier time in this regard as they already have Euro-6 compliant engines and powertrains in their international portfolios. They will simply have to source them to India and plonk them into the vehicles. As Indian car buyers are still pretty upbeat about diesel options, carmakers will face the added challenge of incorporating the Diesel Exhaust Fluid (DEF) on their diesel offerings, which is a crucial change as per the BS-VI norms for reducing the Nitrous Oxide emissions from diesel vehicles. DEF, which is stored in a dedicated storage tank fitted in the vehicle, is injected into the exhaust pipe which then interacts with the Nitrogen Oxide coming from the engine to convert it into harmless nitrogen and steam, before leaving the exhaust pipe. According to studies done by the World Health Association, Nitrogen Oxide emissions are known to aggravate asthma. As a result of these rather significant changes and upgrades, production costs are bound to go up in the coming future and the brunt of all this will ultimately be borne by the customers. Not only will the prices of diesel cars go up significantly across all segments, but the incorporation of the DEF setup, which will require additional space, is most likely to eat up some interior space, especially on small cars. Details about the final incorporation and placement of the DEF tank on Indian cars are yet to surface. While the increased costs may be insignificant for luxury car buyers, the average Indian car buyer will certainly feel the pinch. To sum up, with the upcoming changes in emission norms, the dynamics of the entire automotive industry in India are bound to witness some hefty changes, especially in terms of the demand for small diesel cars. Everything ranging from buying trends to the average spending pattern to the prices will also witness some changes since India is a price-sensitive market.